We’re gearing up to bring Overwatch to SKL! But we need your help! We want to make sure that what SKL brings to the table for Overwatch, is what the community wants. We’ve set up a Google Form, if you have a couple minutes, please take the time to fill it out. This form will give us an idea of what you guys want from us in regards to Overwatch, and when you want it. Depending on interest, we could be starting up Overwatch very soon! If you have a team ready to compete, you will be given the option to “pre sign up” your team for SKL events. When we do start running events we’ll contact you first so that you are ready to go, it also helps us to know that we have teams ready to play. If you have any questions, please ask them down below or send your questions through the Google Form. Fill out the form at the link below. 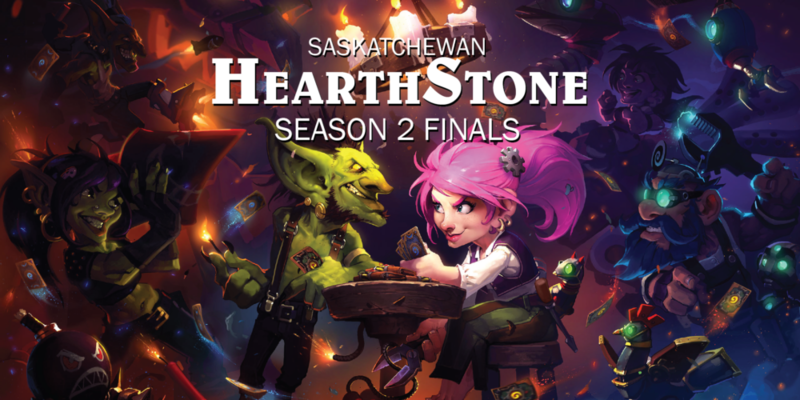 SKL eSports is happy to announce that the Saskatchewan Hearthstone finals will be broadcast on SKL’s stream! Tune in to twitch.tv/saskleague Saturday, February 25 at 5:00 PM SKT for The Semi and Grand Finals for the top player in the province. Complete with commentary, and a birds eye view of the game board. For those in or near Saskatoon, come hang out at Mana Bar to watch live! Hang out in the province’s newest eSports bar, watch with like minded people and help yourself to the local wares. All in all it will be great time.